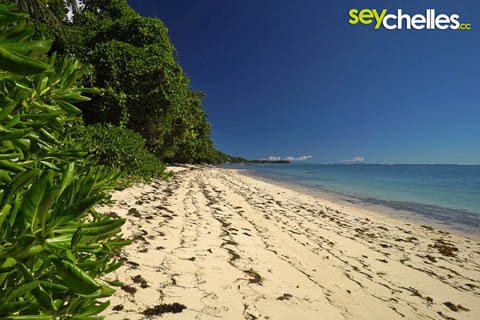 Anse Aux Pins is the beach right after the Seychelles International Airport on Mahé, heading south. It is pretty long and rather narrow. You´ll regularly find a few fishing boats and quite some seaweed. The waters are usually rather shallow and not perfect for swimming. While there is some shade from trees, on some parts of the beach, it is pretty hard to find in other parts. Expect to be alone on this beach because hardly anybody ever finds his way here, despite the road being close by.